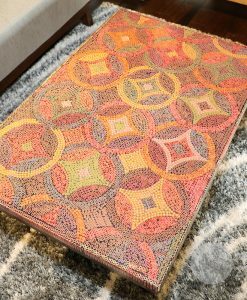 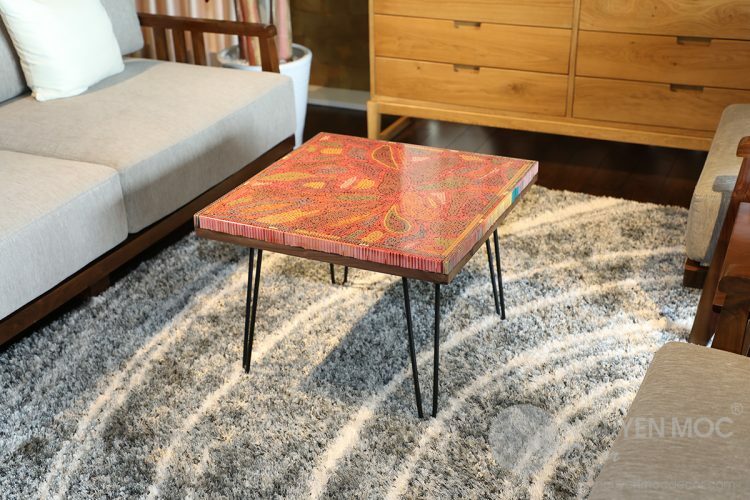 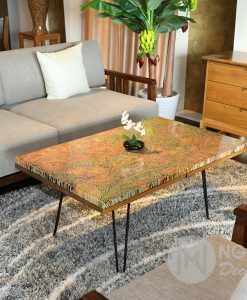 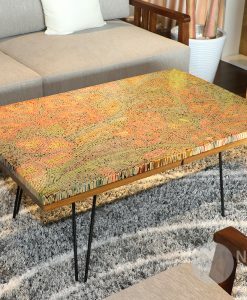 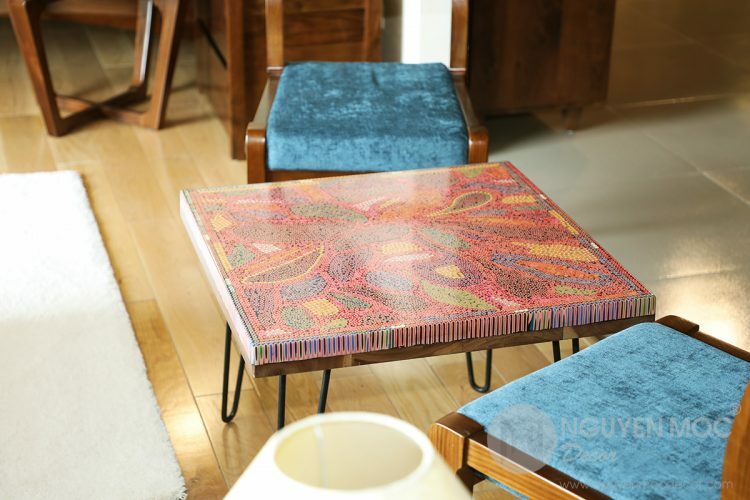 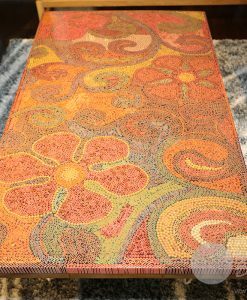 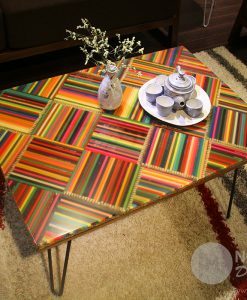 Skillfully built by 6,834 pieces of colored pencils, Lotus Pond Colored-Pencil Coffee Table is the extremely favored artistic work by the experienced craftsmen of Nguyen Moc Décor. 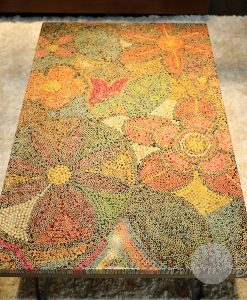 For a long time, Lotus has been well-known for the purity thanks to its amazing nature to bloom brightly and fragrantly in the muddy pond. 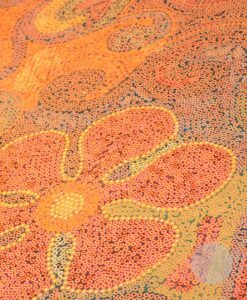 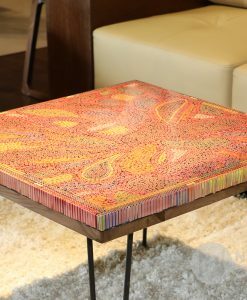 And, Lotus Pond Colored-Pencil Coffee Table is an artistic work inspired by this noble kind of flower. 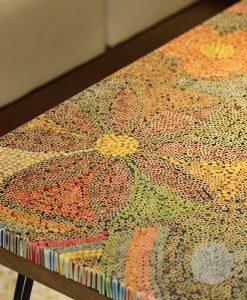 With the skillful technique, the handicraftsman created the unique masterpiece, in which the lotus-shaped lamp support is in the center, surrounded by colorful and pliant petals. 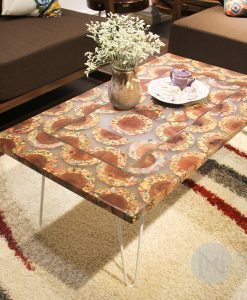 This design shows not only the pure beauty of Lotus but also the integrity of people in the seducing life. 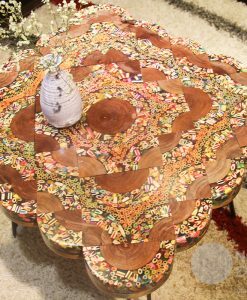 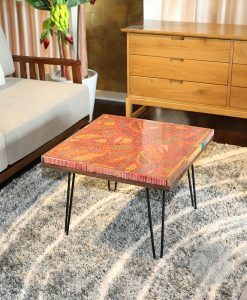 Presenting that distinctive meaning, Lotus Pond Colored-Pencil Coffee Table is a perfect selection for those who prefer the noble-minded lifestyle. 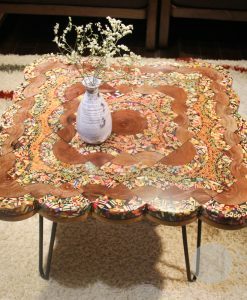 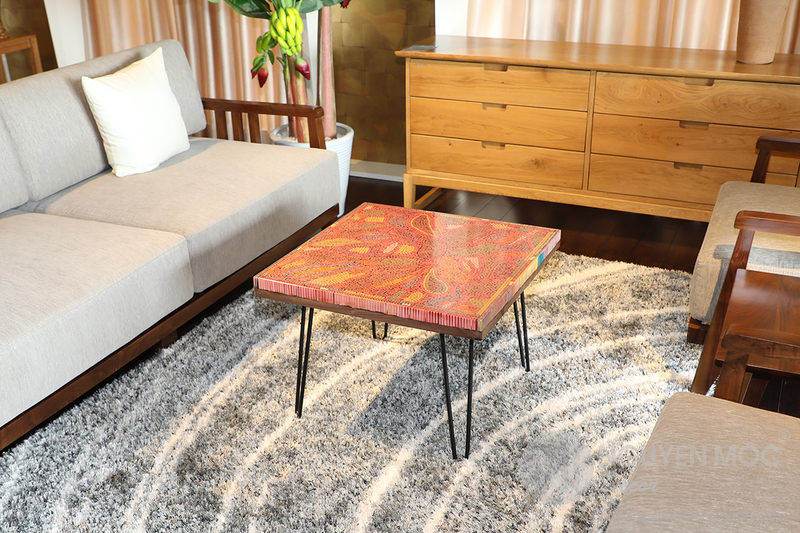 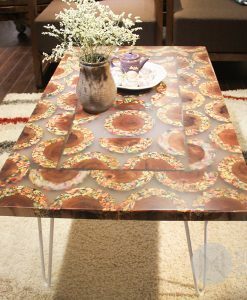 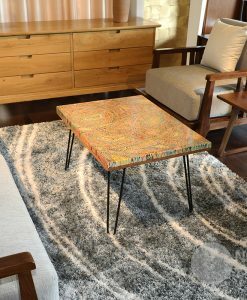 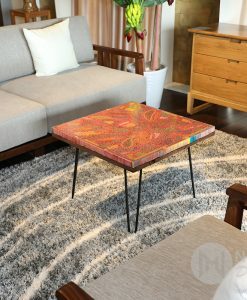 In addition, the tiny shape of the coffee table helps you find easy to put or move it to anywhere in your home. 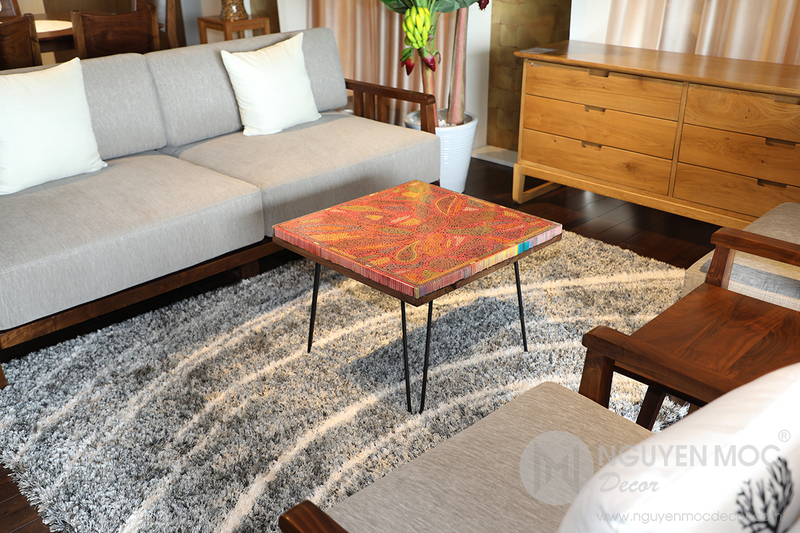 Contact Nguyen Moc Décor without hesitating to possess this masterpiece! 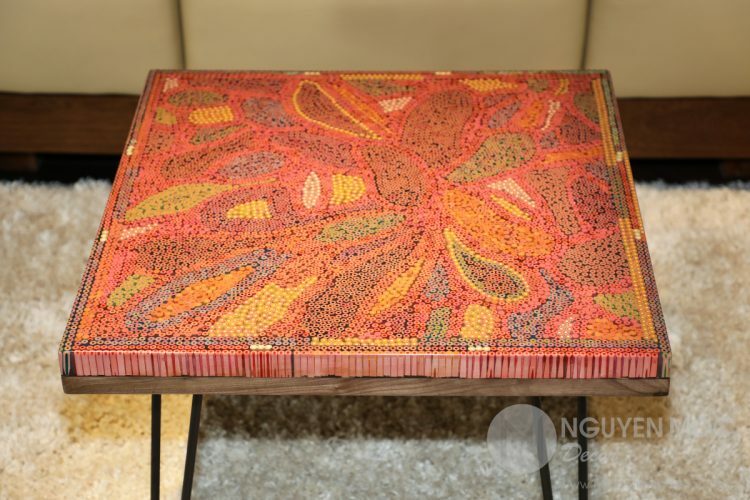 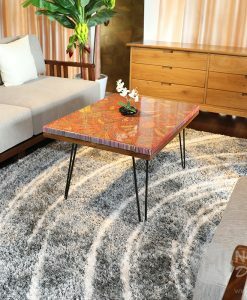 Lotus Pond Colored-Pencil Coffee Table has a balanced ratio of the table surface and the hairpin legs, which resulted from the elaborate calculation of Nguyen Moc Décor’s handicraftsmen. 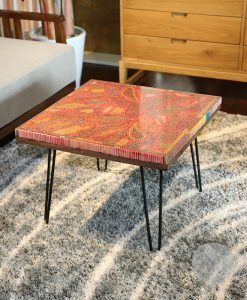 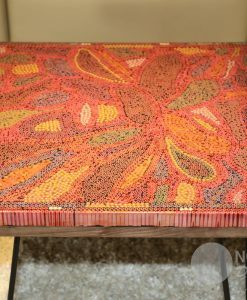 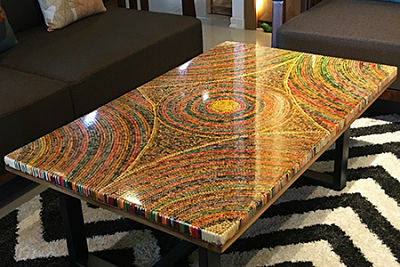 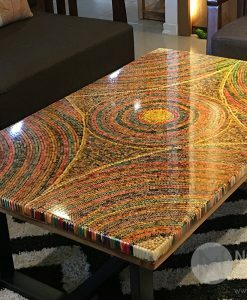 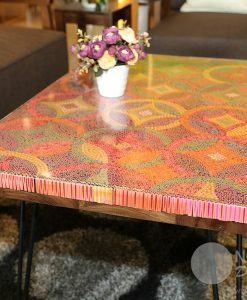 Besides the unique feature of table surface ultimately handmade of colored pencils, the hairpin legs are also the outstanding part thanks to its compact design and excellent duration. 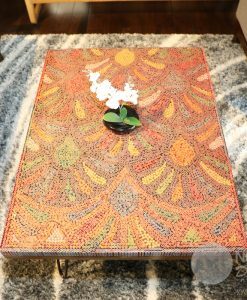 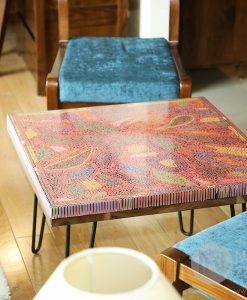 You can conveniently transfer the Lotus Pond Colored-Pencil Coffee Table anywhere you want to sip a cup of favorite coffee after a hard-working day. 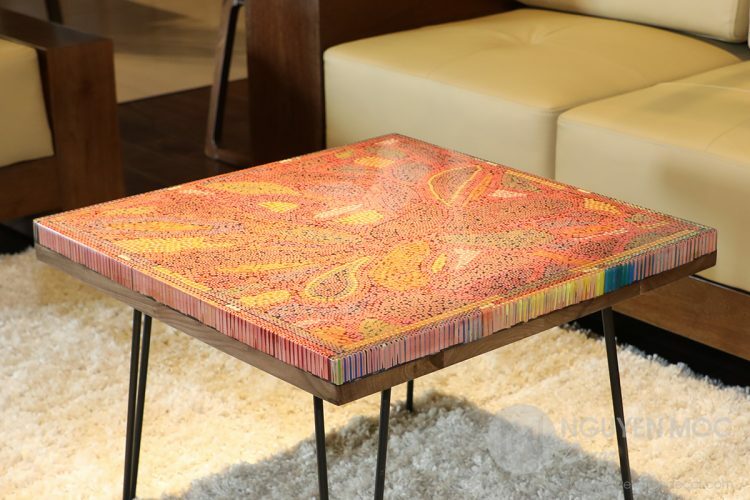 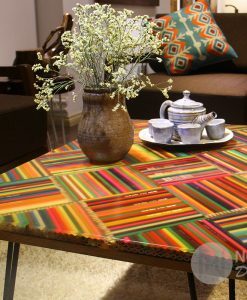 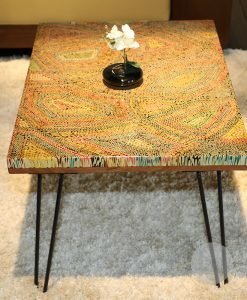 Lotus Pond Colored-Pencil Coffee Table looks perfect to every corner. 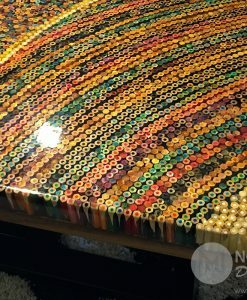 Resin epoxy helps mount each piece of colored pencils and still keep the table surface flat and smooth.